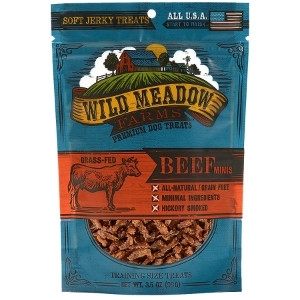 Soft Beef jerky dog treats made with all-USA, grass-fed Beef. Minis are a convenient training size treat with over 450 pieces per bag. 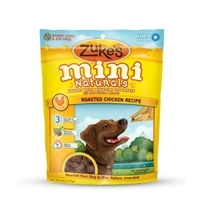 These natural dog treats have minimal ingredients and are completely grain free, gluten free, soy free, corn free, salt free, and sugar free! 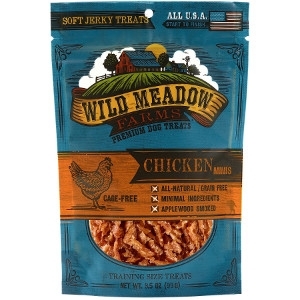 Soft Chicken jerky dog treats made with all-USA, cage-free Chicken. 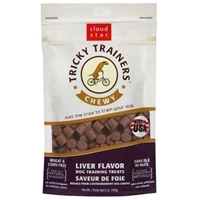 Minis are a convenient training size treat with over 450 pieces per bag. 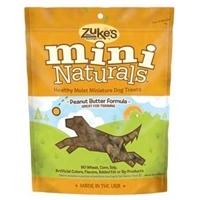 These natural dog treats have minimal ingredients and are completely grain free, gluten free, soy free, corn free, salt free, and sugar free! 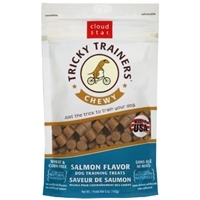 Cloud Star Chewy Tricky Trainers Salmon 14 oz. 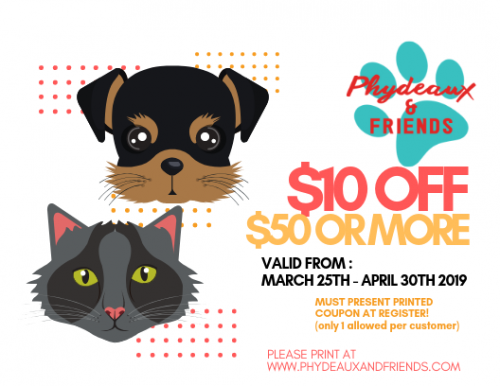 Treats! 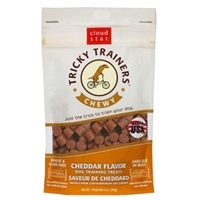 Nothing in the English language can perk up a dog's ears quite like the word "treats". That's where Mini Naturals come in. Even the strongest of power dogs start to slow down as they age, but that doesn't mean you have to put away the Frisbee. 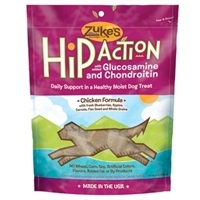 Zuke's Hip Action treats are a fun way to decrease joint pain and increase mobility in your pooch. 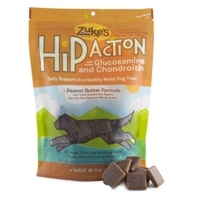 Every treat contains 300 mg of Glucosamine and 50 mg of Chondroitin, plus essential co-factors to maximize absorption. 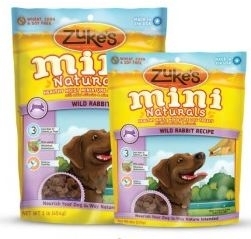 And if that ingredient list doesn't have your dog salivating just yet, the fresh blueberries, apples, carrots and ground flax seed should do the trick. Merrick Lamb Filet Squares 3/1 lb. 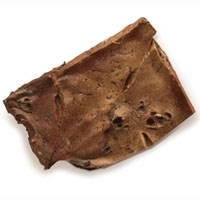 Merrick's Lamb Filet Squares are a wonderful treat for the love in your life, your dog. These treats are high in protein and help provide the energy that your dog needs. 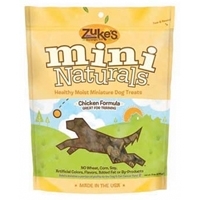 Zuke's Performance Z-Filets Glazed Chicken 3.25 oz. 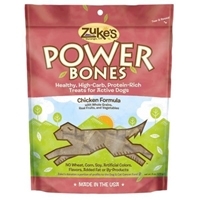 At Zuke's we understand that a high protein diet supports strength, vitality, and performance. 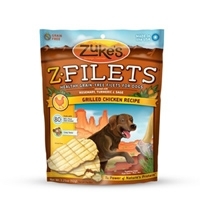 That's why we created Z-filets. 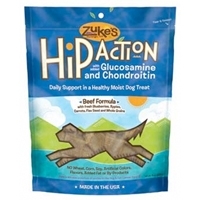 At over 80% pure beef, chicken, or venison, they're lean, wholesome and delicious – big time support for strong muscles and sturdy bones. 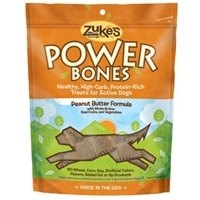 But be warned, with all the extra energy protein provides, your dog may knock you over with impromptu licks of gratitude. 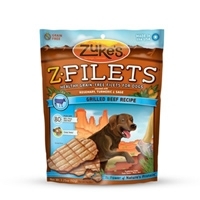 Feed Z-Filet's and Fuel the Love. 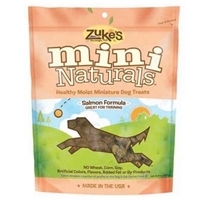 Zuke's Performance Z-Filets Basted Beef 3.25 oz. 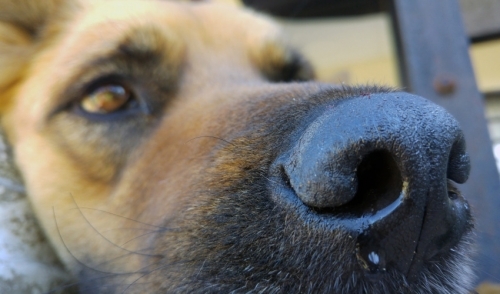 Believe it or not, you can give your dog a treat every time they do something cute. 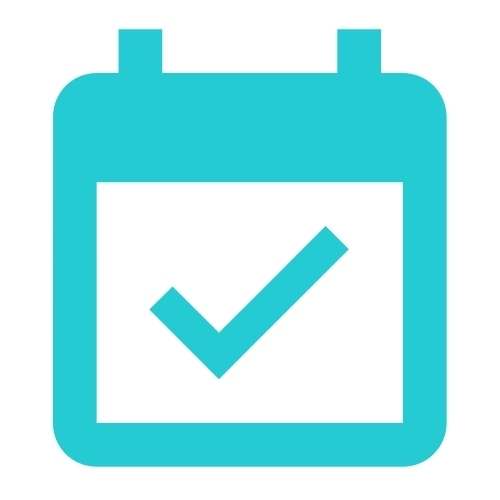 Which we know, is just about all the time. 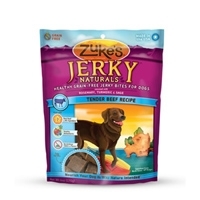 Unlike ordinary biscuits, Jerky Naturals are moist and healthy - made with real USDA beef, New Zealand lamb or wild-caught salmon as the #1 ingredient, plus fresh blueberries, carrots, apples and ground flax seed. 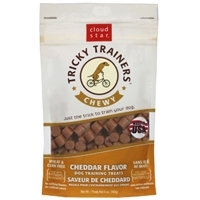 And because they're good for your dog it makes them the treat you can feed anytime, anywhere. Feed Jerky Naturals and Fuel the Love.